If you don't follow F.P. Journe's YouTube channel you should check it out. They have some interesting back stories for watches as well as new releases. 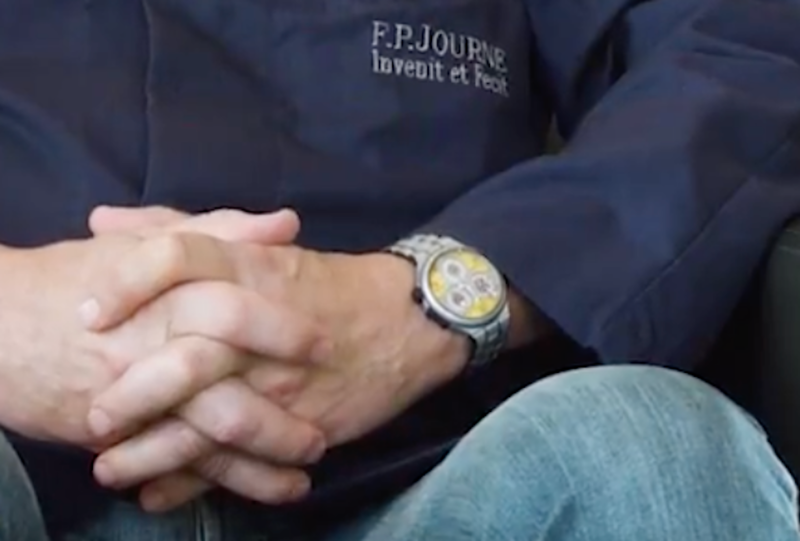 One of the side benefits is you get to see some interesting watches on FP's wrist. In this case it's an aluminum Centigraphe Sport with yellow dial!! Next Topic: My FPJs - Just because I finally figured out Imgur!